Download YooPin Multipurpose Modern Website Template Free PSD. A dark, multi purpose psd template with editable, easy to customize layers. Modern Website Template made for Multipurpose websites which need clean, minimal overall style with flat design. A professional PSD file, containing fully layered and organized into folders. 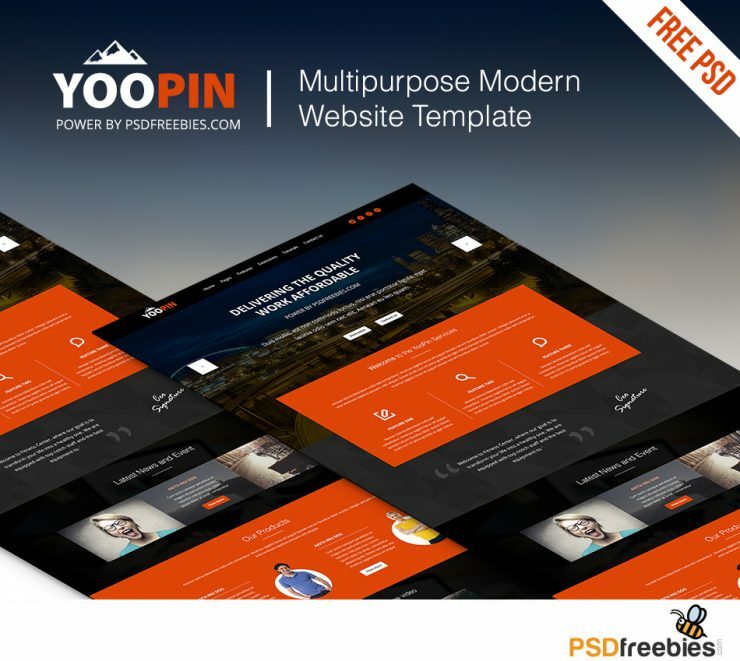 High quality Free Resources for Web Developers and Web Designers are an excellent way to get started.This free website template is available to download for you and you can create a custom theme out of it. Hope you like it. Enjoy!